Have you ever wanted to have a slideshow of rotating images on your website or blog? We have a plugin that helps you add slideshows to pages, posts and even widget areas. Note: This is a replacement for Portfolio Slideshow which has been deprecated. Before you create your slideshow, you’ll want to plan out what images you want to use. It works best if the images are all the same size. They don’t need to be, but the slideshow will look better if they are. 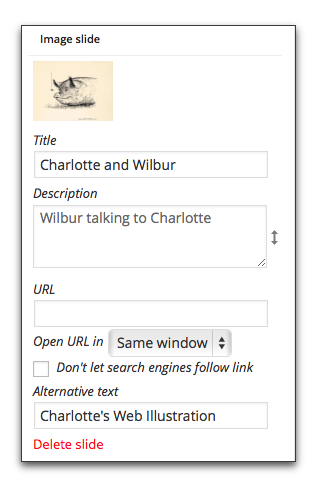 Type a title in the “Enter title here” field. If you create multiple slideshows, this will help you choose the right one to display or to edit later. From the Slides List pane on the right, click the Image Slide button. 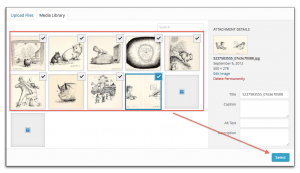 Find the images you want to add from your Media Library or add them. 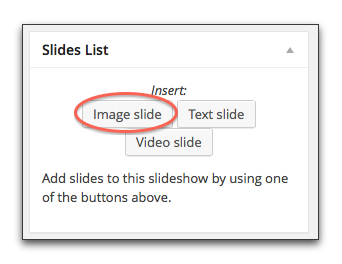 Make sure the images you want to include in the slideshow have a checkbox next to them and click Select. Each slide will have a Title, a Description and a URL field. The Title and Description can be displayed allowing you to share more information either when a person hovers over the image (default) or persistently. The URL allows you to link the image to a web page either on your website or another website. Slideshow Style – There are two slideshow styles, light and dark. If you know CSS (Cascading Style Sheets), you can also customize the settings by clicking the Custom styles link. Animation Settings – You can decide what style of transition you prefer, how many seconds it takes for the slide to slide in, how long it takes for the description to appear and how long between changing slides. Display Settings – You can decide how many slides will fit in one slide, the maximum width, the slideshow height, if the image will stretch, if the height will shrink with the width, if the slide will be responsive (mobile devices), whether to show the title and description and whether to hide the title/description when hovering. Control Settings – You can decide whether to automatically go to the next slide, to return to the first slide when done, to pause the slides when hovering, to activate the navigation buttons, to hide the navigation buttons, to activate pagination, to hide pagination when hovering and whether to have a pause/play button. Miscellaneous Settings – You can decide whether to show the slides in a random order. When you have made all your changes, click Publish. This will save the slideshow and allow you to insert it into a Page, Post or Widget area. After you have created your slideshow, you can insert it into a Page or Post. Create a new Page or Post or edit an existing one. Select the area to add the slideshow. Click the Insert Slideshow button next to Add Media. 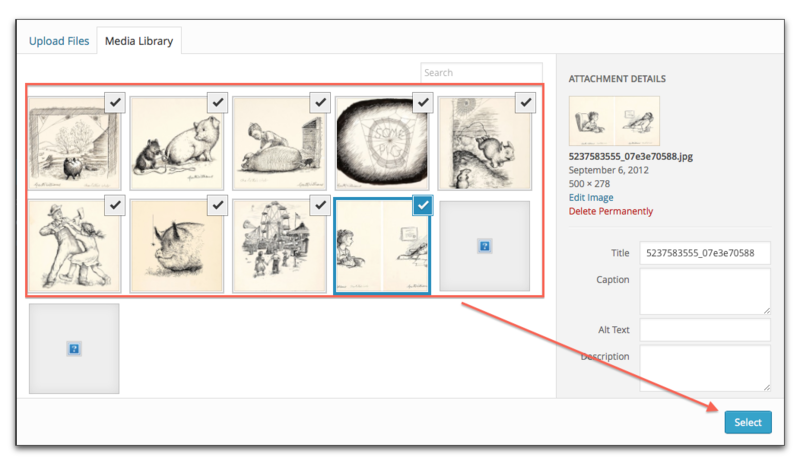 Select the slideshow from the drop down list. Any slideshows you have created should appear here. A shortcode with the slideshow ID will appear. When you publish or update your Page or Post, your slideshow should appear on your page. 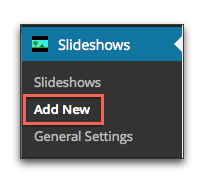 If you need to make any changes to the slideshow images or the appearance of the slideshow, you can go back to Sideshows > Slideshows to make your edits. Since widget areas tend to be smaller, your slideshow settings may need to adjust for the smaller size. Drag the Slideshow Widget to Widget area where you want your slideshow to appear or select the widget area and click Add Widget. Select the Slideshow you want to appear from the Slideshow drop down menu. The Slideshow should appear in the widget area. If the images are too large, you may need to adjust the settings in Slideshows > Slideshows. 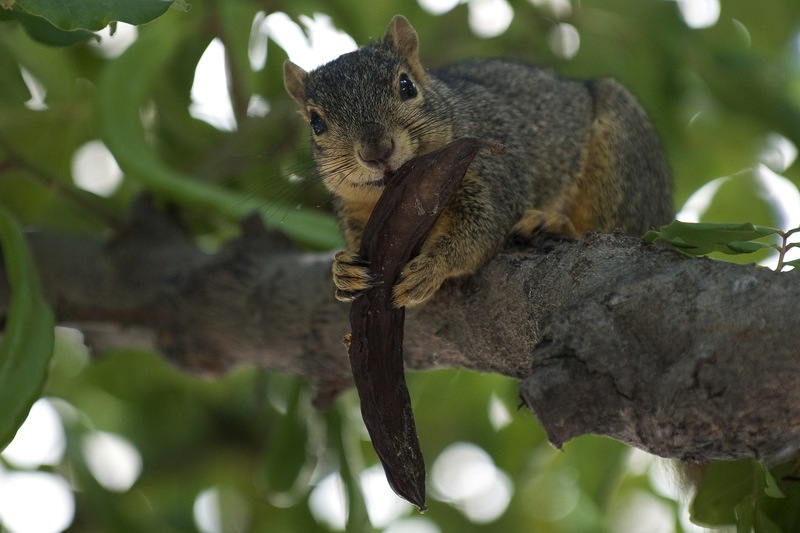 Perched atop a tree near Langson Library, a squirrel munches on a seed pod during a spring afternoon. 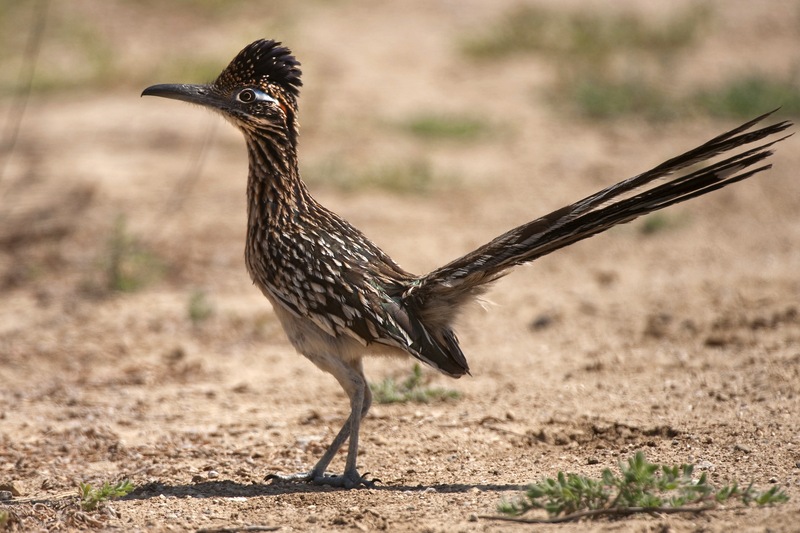 A roadrunner is on the hunt in the San Joaquin marsh -- fertile ground for researchers, students and the creatures that call it home. 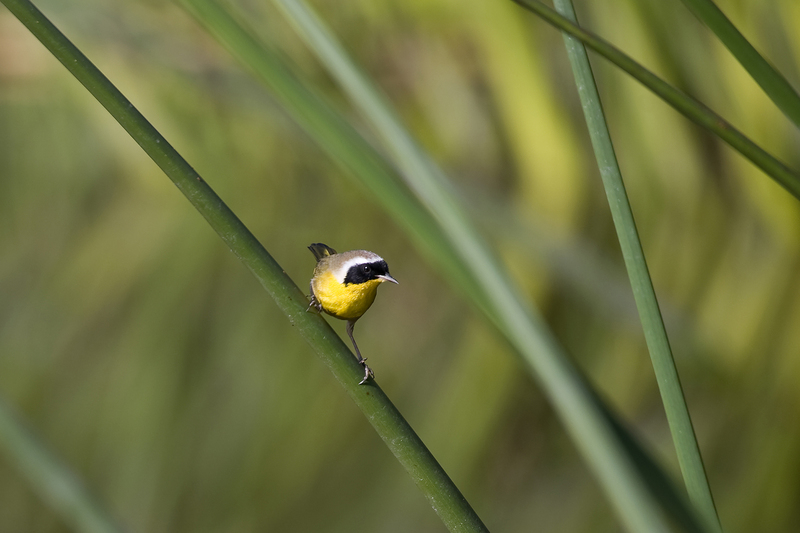 The San Joaquin Freshwater Marsh Reserve, maintained by UCI, is fertile ground for researchers, students and the many creatures that call it home - like this common yellowthroat warbler. 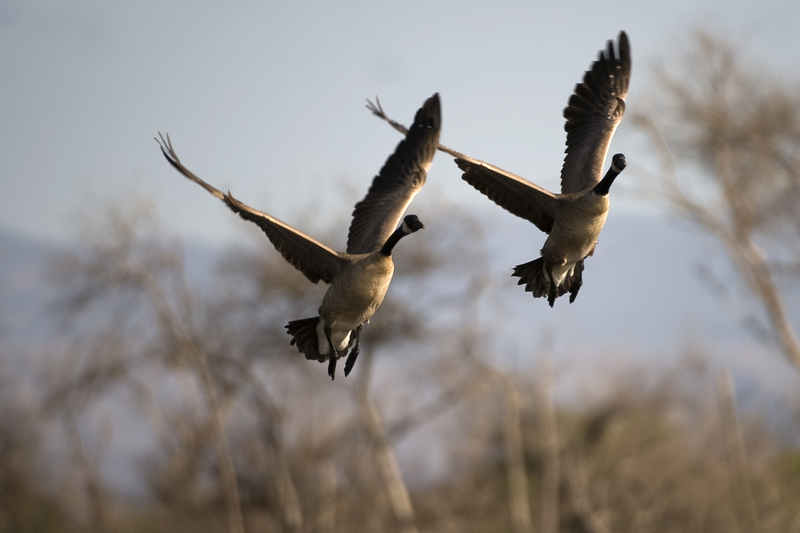 Canada Geese take off from their migratory roost in UCI's San Joaquin Freshwater Marsh Reserve.